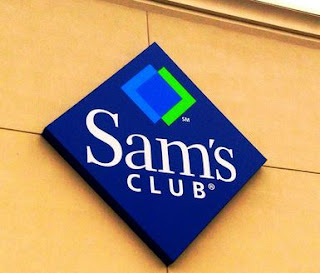 One Momma Saving Money: Score a Sam’s Club Membership for $35 & score a free $10 Gift Card, free pizza, free cookies and more! Score a Sam’s Club Membership for $35 & score a free $10 Gift Card, free pizza, free cookies and more! Please allow 5-7 days for delivery of the $10 eGift Card after activating your new membership. Your $15 eGift Card will be delivered approximately 7 business days after your first purchase of $15 or more on SamsClub.com. Your first SamsClub.com purchase must be made within 30 days of activating your membership and is invalid after October 10, 2018. Both eGift Cards will be delivered to the same email address used to activate your membership.